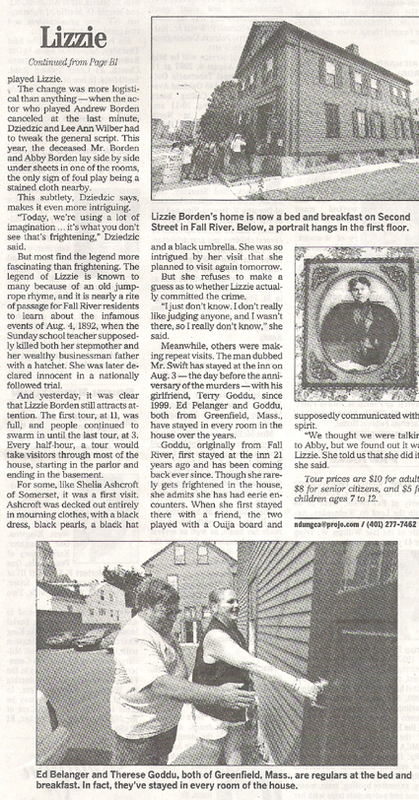 There was exceptional news coverage this year about the doings on Second Street. 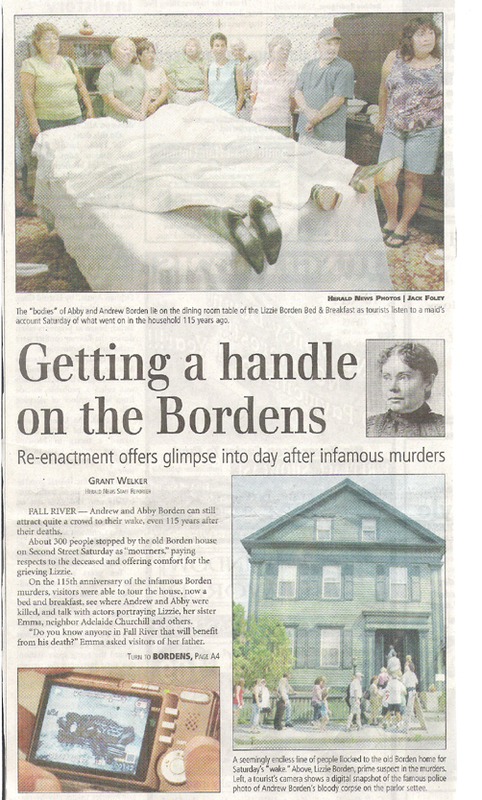 After the initial gaff about the wrong photo of Andrew Borden in the Herald News last Thursday, calls came in from as far away as Florida, Illinois and Nebraska to find out if the photo was a brand new discovery of Andrew Borden as a young man! Channels 6, 10, and 12 out of Providence sent crews, as well as showing coverage Saturday and Sunday, Newspaper interviews included the Worcester Telegraph, Providence Journal, Fall River Herald News and the New Bedford Spirit. The interviews were lots of fun for us all, but mostly great promotion for 92 Second Street. 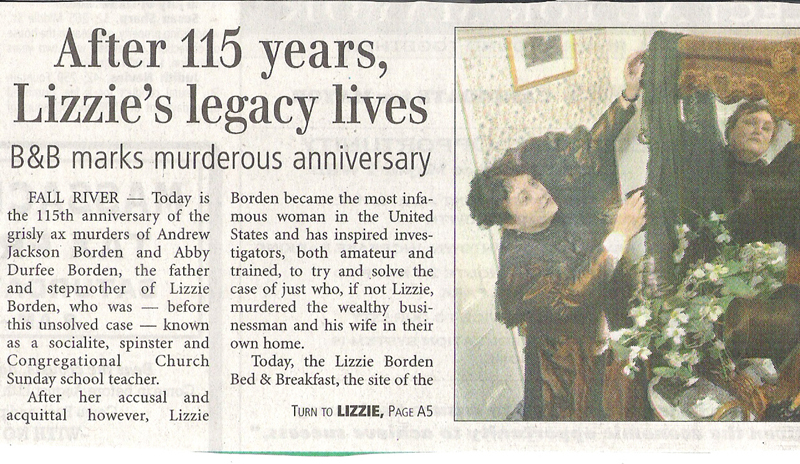 Click on the photos below to read some of the coverage.